Conventional wisdom tells us that good things take time. If you ever felt like your container home dream will never materialize, today's story is guaranteed to reignite your passion. 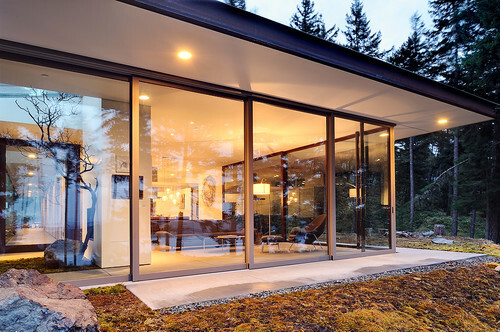 The unnamed owner of this house, built by Gary Gladwish Architecture, vowed to eventually settle down on Washington's Orcas Island. 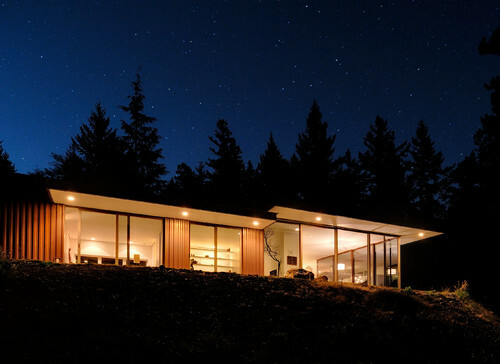 Forty years later, she purchased a bit of land by the woods - surrounding herself with the idyllic San Juan Islands views that she always dreamed about. 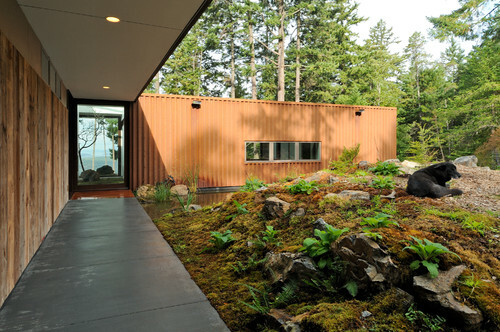 Eventually, her freshly-designed Eagle Ridge residence was ready to welcome her home. Pretty inspiring, don't you think? Now that you know the story, let's take a closer look at this compelling dwelling's construction. Part of this house comprises your typical rustic container aesthetics. This is slightly deceiving, though, as the exteriors are a concoction of various textures. According to Gary Gladwish Architecture, the exterior siding combines some of the artistic homeowner's favorite materials, including old barn wood and rusty steel. Obviously, a house that values its surrounding natural landscapes is going to be generous with its sliding doors. Once these are opened up completely, we become fully immersed in a stylish living area. 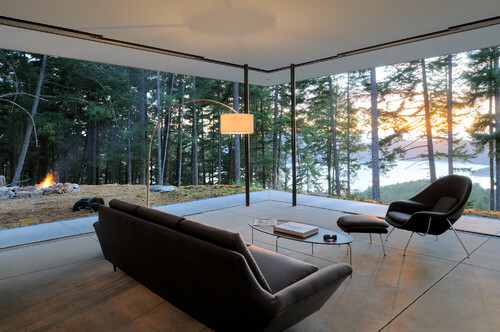 The living room's minimalist elements have been composed in a way that harmonizes with its adjoining scenic views. Breathtaking, isn't it? Imagine sitting on that couch as the sun goes down. 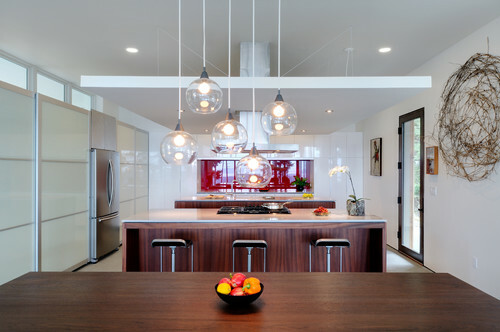 Artful elements, like bubble lighting fixtures and tumbleweed wall decor, bring a bit of contemporary flavor to the sleek kitchen and dining room. 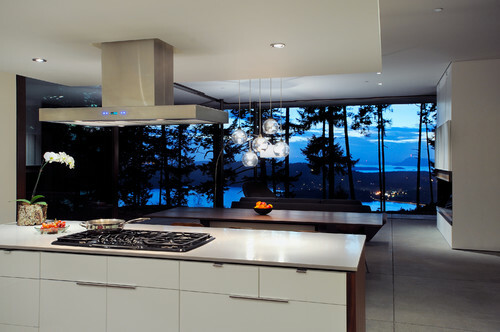 Of course, the picturesque views always make a dinner-time cameo. 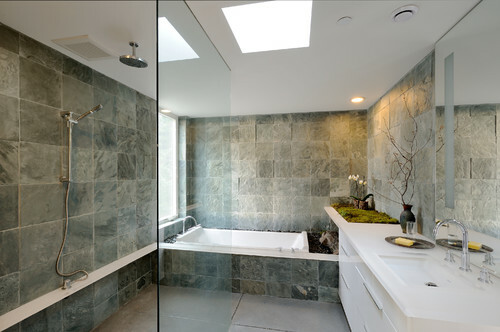 A spacious bathroom with rocky walls charms us with its elegance. 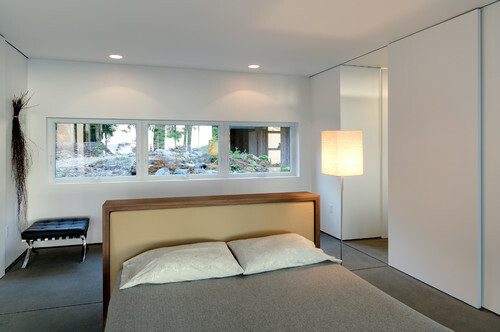 While the cozy bedroom wraps everything up with just the right tinge of modernity. Today's lesson? 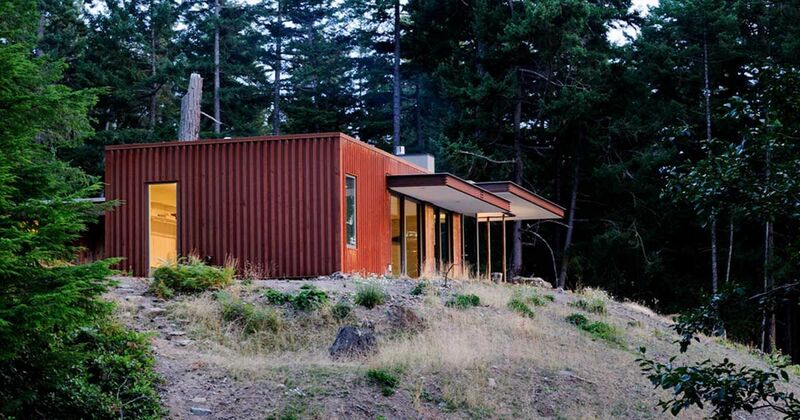 Never let time get in the way of your container home dreams. This homeowner certainly didn't - and the wait gifted her with a treasure trove of natural landscapes and luscious contemporary design conventions.